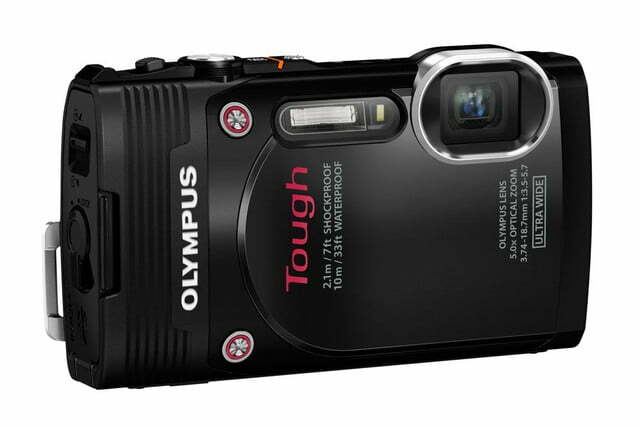 Olympus Stylus Tough TG-850 in black. 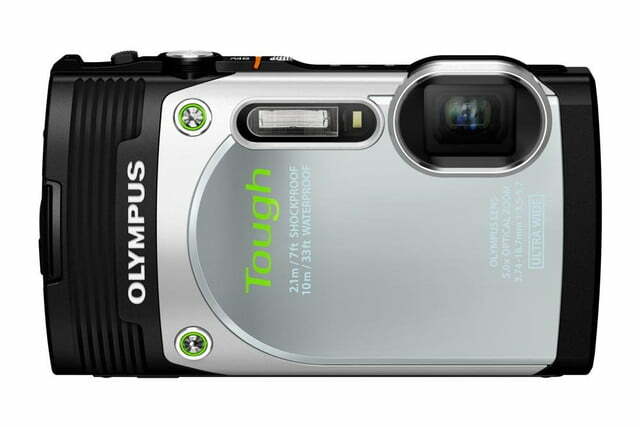 Olympus Stylus Tough TG-850 in silver. 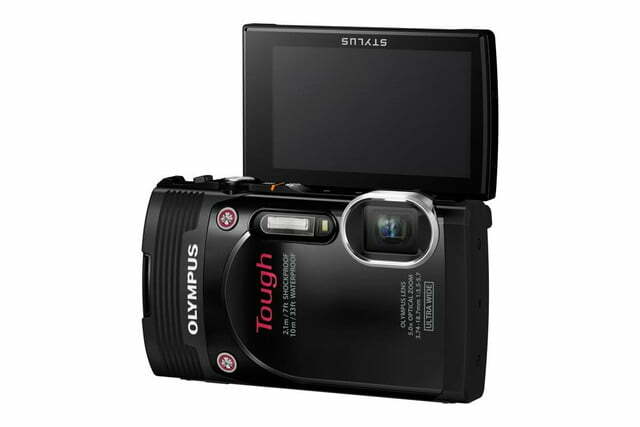 Olympus Stylus Tough TG-850 in white. 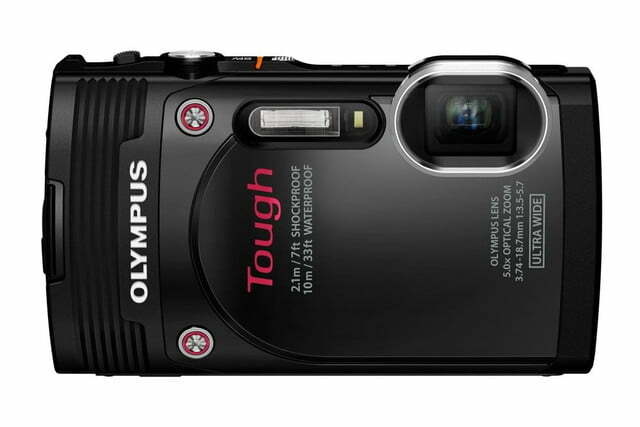 One of the specialty areas where smartphones can’t match traditional compact cameras (yet) is in rugged form-factors that can withstand the elements. 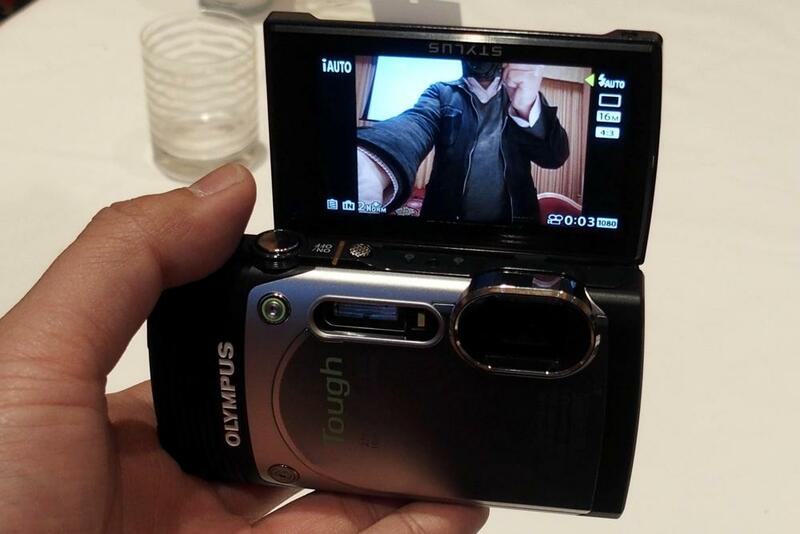 It’s a good thing for Olympus, as the company is pretty good at making them. 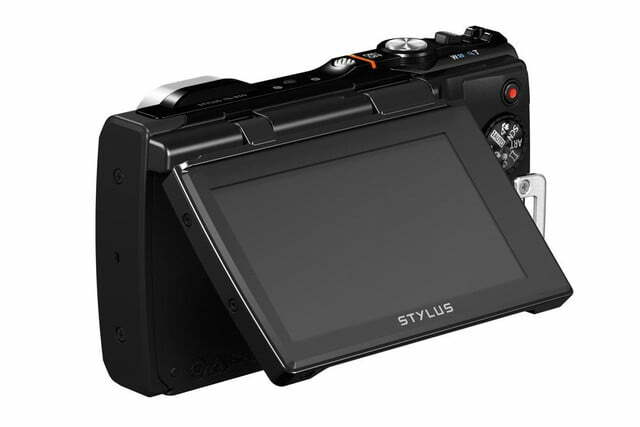 For spring it is unveiling a new model in its Stylus Tough series, the 16-megapixel TG-850 (succeeding the TG-830). 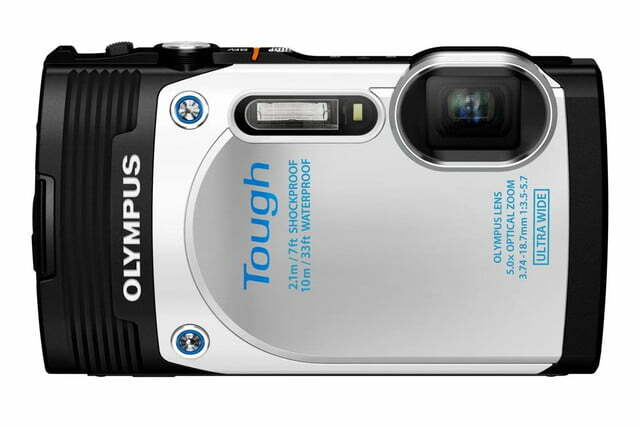 Besides being waterproof, drop-proof, dustproof, and freeze-proof, the most notable new features are the 180-degree selfie-friendly LCD screen and wide-angle 21-105mm 5x optical zoom (the widest in the compact camera category, Olympus says). Comparison between a 28mm lens and 21mm. 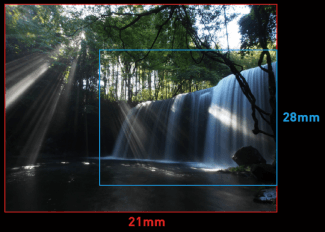 To achieve the super wide-angle zoom while keeping the body compact, Olympus said it redesigned the lens configuration without sacrificing optical performance. 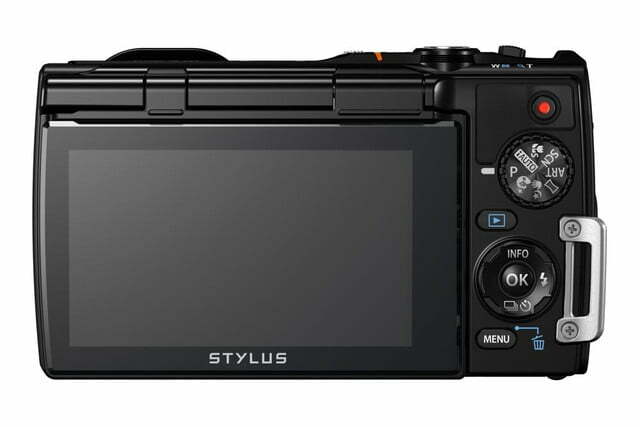 That’s in addition to the backlit CMOS sensor and True-Pic VII image processor (found in the high-end OM-D E-M1), which help the camera handle low-light conditions and Full HD videos at 60p (the camera also shoots high-speed videos at 120 frames per second, but at lower resolutions). Other new features for this series include interval shooting and art filters. 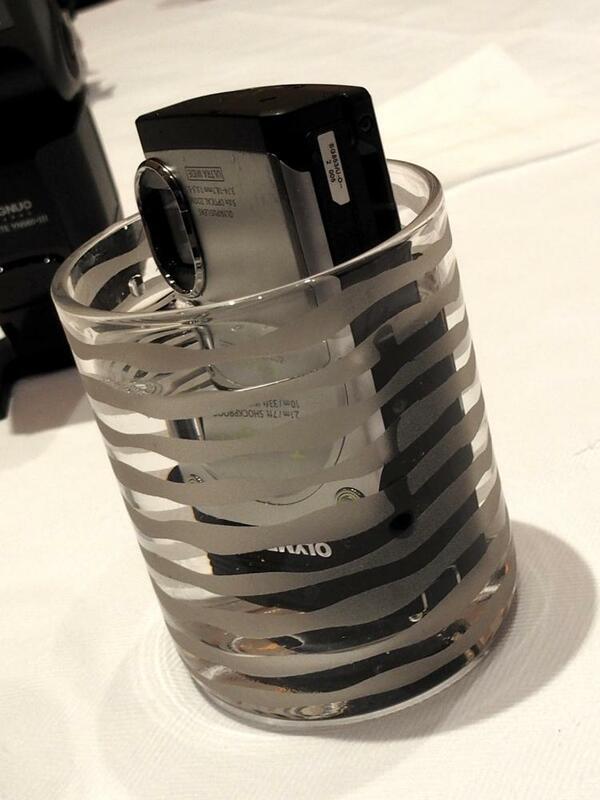 A fellow journalist got the OK from Olympus to dunk a sample unit into water. The 3-inch LCD has a 460k-dot resolution. While the 180-degree tilt is nice for self-portraits on dry land, imagine using it to shoot yourself while underwater or semi-submerged at 90 degrees. 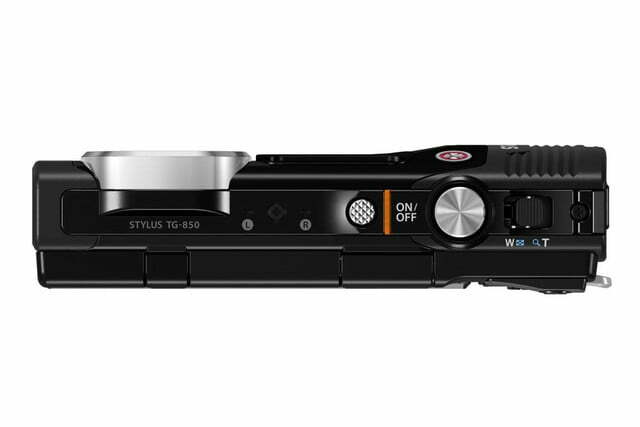 As for its rugged features, the TG-850 is waterproof down to 33 feet, shockproof from 7 feet, crush-proof up to 220 pounds, and freeze-proof down to 14-degrees Fahrenheit, as well as dustproof (the same as its predecessor). 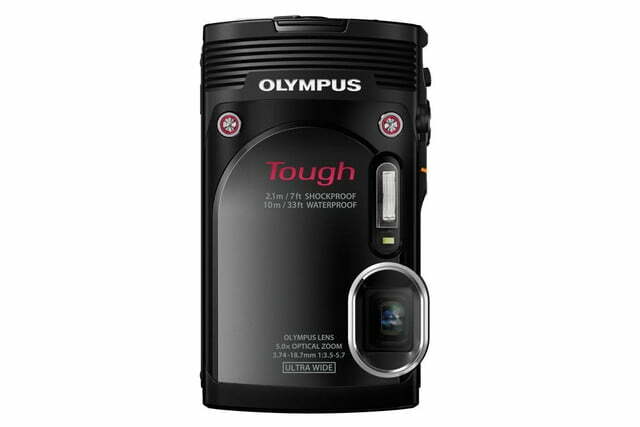 Other features include Olympus’s Fast AF autofocusing system, lens-shift image stabilization, 7.1-fps burst mode, and an improved grip. There’s no GPS or Wi-Fi, but the camera supports Toshiba’s FlashAir SDHC card for wireless image transfers. The TG-850 goes on sale in March for $250, and will come in silver, black, and white.